Heaters are widely available, for water applications especially, for freeze protection. An ASSE 1060 Class 1 heater will keep the equipment at 40 degrees Fahrenheit even when it is negative 30 degrees outside. 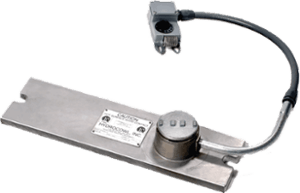 Most heaters in the industry are wall-mounted at a minimum of 12” off the slab. Remember that heated air rises, so the most efficient heating occurs when the heater is placed as low as possible. For maximum heat retention, look for a heater that bolts directly to the concrete slab and produces both convective heat to the air and conductive heat to the slab. Some hot box heaters installed in this way can provide heat that penetrates as much as 16 inches down into the vertical riser pipes. There is also a need to plan for heating solutions that are designed for wet/damp environments. This is especially important in waterworks applications, but should also be a consideration for any industrial equipment or pump covers that are installed outside. Maintaining a minimum temperature to prevent pipes from freezing isn’t the only requirement. Some processes are substantially impacted by variations in viscosity of other fluids (oil for instance) and going over the maximum temperature can quickly become a disaster even in temperate zones. Designs should incorporate louvers and fans for venting when that is adequate. 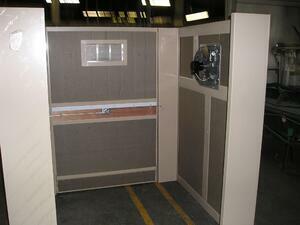 Some enclosure manufacturers, like Safe-T-Cover can even provide air conditioning. This is vital when the climate is particularly hot or the equipment requires maximum ambient operating temperatures that are lower than venting can provide. Incorporated electronics and controls are increasingly common in industrial equipment installations and they are prone to failure when overheated.